at McGinnity's Restaurant and Party House, 534 West Ridge Road in Greece. 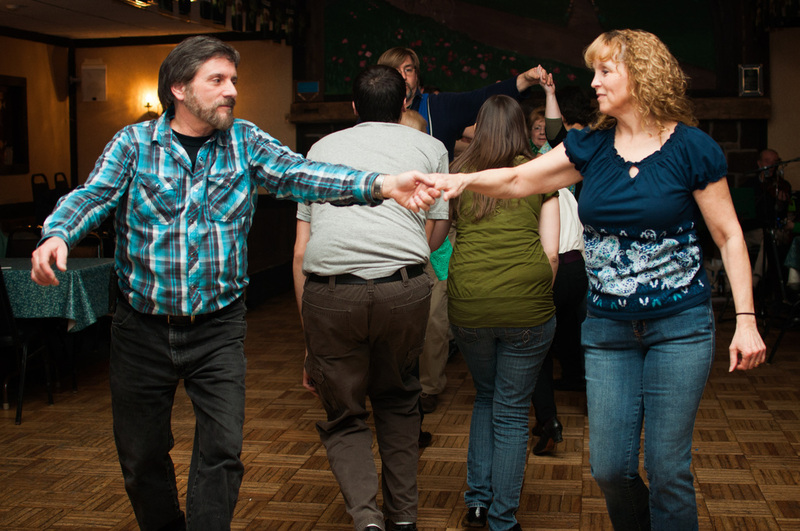 Irish country dances are also called "set" dances or Irish square dances. 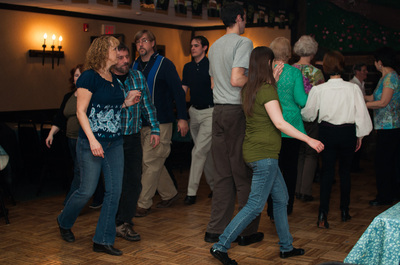 Four or eight dancers form the set which is danced to lively traditional Irish music. 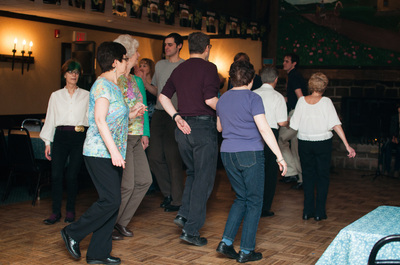 These dances are a blend of seventeenth and eighteenth century European quadrilles and native Irish dance forms. Workshops are open to the public. Dancers of all levels (beginners to experts) are welcome. You do not need your own partner and costumes are not required. Wear comfortable clothing and shoes with a leather type sole. Workshops: Wednesday's 7.30 - 9.30pm at McGinnity's Pub, main ballroom, at 7:30 pm every Wednesday. Parking is readily available. Suggested donation: $3.00.